Growing your own food can be an incredibly rewarding experience, especially for local food enthusiasts. It doesn’t get any more local than fresh vegetables right out of your backyard or community garden! This guide will take the novice gardener through some of the basics and also provides helpful resources for even the more experienced gardener. So, interested in growing food to feed yourself, your family, or your community? Let’s get started! First, take a look at how Lake County’s geographic location affects the growing season and consider what does and does not grow well in northeastern Illinois. Look at the USDA climate zone map and AHS plant heat zone map to learn more about crops that are best suited for our climate. For example, certain crops such as onions have many varieties that grow better in different parts of the country. It’s no surprise that winters in northeastern Illinois can be brutally cold. Those frigid winter days provide the perfect opportunity to plan your garden. Using an online garden planner can help you organize and visualize your space. It can be tempting to grow one of everything, but realistically you may only have room for a few favorites. Choose your crops carefully, keeping in mind the space you have available. There are links to some great seed catalogs in the resource list below, or check out local nurseries. You might also want to consider which crops grow well with each other through companion planting. If you are planning on growing perennials, keep in mind that where you put them now will be their spot for future seasons as well. Make sure to consider whether you are using containers, raised beds, growing in-ground, or some combination thereof—each has their advantages and disadvantages. Soil health and amendments are also an important part of gardening. Check out DK Organics, a great local resource for compost, topsoil, and more. Think about whether you have access to or want to use a high tunnel, hoop house, or greenhouse. If you are planning to build or buy a structure, helpful links can be found below. Interested in joining a community garden? Check out this interactive map to find one near you. Now that you’ve chosen your crops and have a solid plan in place for the garden, you’ll need to know when to start planting and which crops should be started indoors versus outdoors. If you have indoor growing space, you can start seeds ahead of time and then put them outside when the temperature warms. Some crops can even be set out before the last frost, but most like to stay frost-free. Some are even perennial and survive the winter. Knowing what to do and when in the garden can be overwhelming. Check out these wonderful short videos by Peterson Garden Project that break down garden tasks to be completed month-by-month. The most rewarding part of gardening is tasting the fruits of your labor! It’s important to know when and how to harvest each crop. Depending on your crops, it is possible to harvest from your garden year-round by knowing what’s in season. Once you experience a successful season, you will undoubtedly be excited to start planning for next year and should consider crop rotation and seed saving. As you progress in the garden, you also may want to learn more about composting as a way to build soil health, or connect with the Lake County Beekeeper’s Association to learn more about beekeeping to encourage pollination or for honey production. If you end up with a bounty of vegetables, you can preserve your harvest by canning, freezing, fermenting, and so much more! You may even consider opening up your own farm stand, farmers market booth, or Community Supported Agriculture (CSA) to bring fresh, local food to your family, friends, neighbors, and community. It can be confusing and overwhelming to start a garden, but it can also be easy and fun to grow your own food. Hopefully this guide will make the process more manageable. Below, you’ll find additional resources about where to find good products, how to manage pests and disease, and helpful gardening tips. If you discover a passion for growing food, the University of Illinois Extension Lake County Master Gardener Program is a wonderful way to continue learning and share your knowledge with others. If your harvest is bountiful and you have excess produce, consider donating it to a local food pantry. Food pantries welcome fresh, healthy produce for their clients! 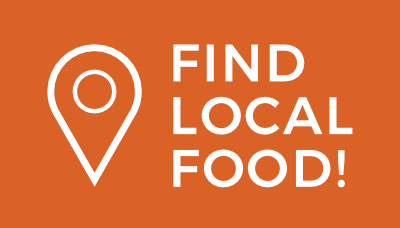 Find a food pantry near you and contact them for drop off and donation information. You can also grow food speciﬁcally for a food pantry! Contact a food pantry in your community to see whether there are speciﬁc or culturally relevant vegetables that their clients would enjoy. 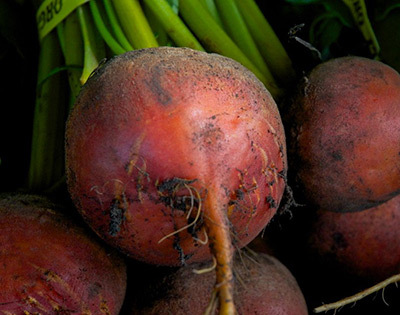 Looking for more information about vegetable gardening basics? 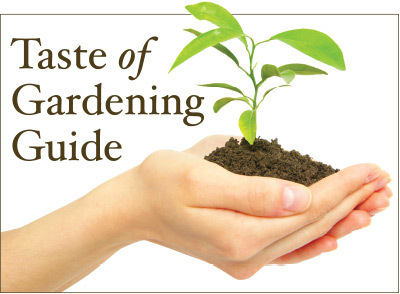 Check out the University of Illinois Extension’s “A Taste of Gardening Guide” for info about pest control, storing vegetables, and more.